Our mission is to be the most respected partner in the Services & Technology space by building great teams from all backgrounds and cultures. Our purpose is simple, continue building a great company to create opportunities for those less fortunate than ourselves. Farida Gibbs, who founded Gibbs Hybrid in 2005, was the recipient of the first Businesswoman of the Year Award in 2018 from MSDUK. Gibbs Hybrid is a privately held, globally certified Woman-owned Business Enterprise (WBE) & Ethnic Minority Owned Business (EMB). 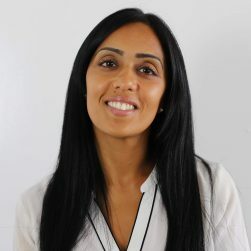 Learning to balance her duties as CEO, mother and role model to the next generation, Farida supports the ‘Women of the Future’ Ambassadors Programme and sits on the Advisory Board for Mosaic Prince’s Trust. Recognition for her inspiring career includes: E&Y Entrepreneur of the Year, Global Power 100 Women in Staffing, International Top 50 Women in Staffing, Brummell 30, Inspirational City of London Women Entrepreneurs and more. Farida is happily married with two teenage daughters. She loves spending time with her family and has a passion for cooking Arabian fusion dishes. 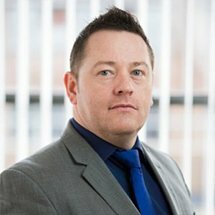 Mike Everest has over twenty years’ experience in working in Senior Finance roles in SME’s and Multi- Global businesses. He qualified as a Certified Accountant with Grant Thornton in 1991, after which, he moved into commerce as Financial Controller. He has assisted companies to grow significantly and is experienced handling company buy-outs. 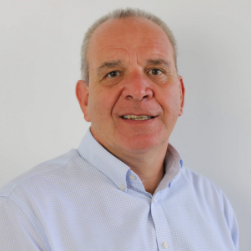 Currently, Mike is CFO at Gibbs Hybrid, where he is using his experience to help the Company become one of the fastest growing businesses in the UK and Europe. A keen sports fan, Mike is married with three children. Ameera’s professional career spans 20 years in the Staffing industry. She has successfully developed, managed and built key relationships with large blue chip companies across a variety of sectors including Financial Services, Retail and Outsourcing Services. Ameera manages the day-to-day delivery operations at Gibbs Hybrid and sits on the Board of Directors. She plays an instrumental role in building out the Delivery & Fulfilment Division, and is responsible for group delivery across the key account portfolios. Added to that, she is responsible for managing strategic relationships with all clients regarding Business Change and IT requirements. 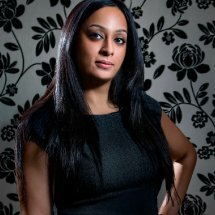 Ameera is happily married with one child and has a passion for health and wellbeing. 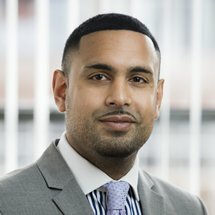 Mo Mohammed is a Programme Solutions Manager engaged on Gibbs Hybrids key and critical accounts within the Programme Technology Business. Primarily focused on our Statement of work offering, delivering additional value and cost savings to our FTSE 100 customer base. Mo has been with Gibbs for 10 years, absorbing each step of the company’s highly impressive, industry defying growth and expansion of services. During this time he has assumed a variety of positions within the organisation, giving him a diverse and broad range of skills drawn from various functions within the business. In his spare time Mo self-studies macroeconomics and financial market trends, covering a broad range of asset classes and derivatives. He also enjoys spending time in the gym and is happily married with two young children. Marion has over 20 years’ experience within Human Resources in various industries and businesses. Marion’s passion and experience within HR are Employee Engagement, Change Management, Employment Law, Talent Management. Mediation and Development of employees. 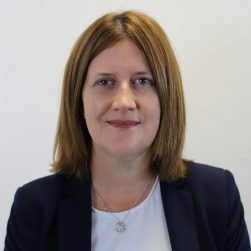 Marion’s vast knowledge and experience has come from large corporates in a generalist role – being involved with organisational structures, employee engagement initiatives, mobilisations of key contracts and supporting employees through business changes. Aside from an adventurous streak that has seen her drive a tank, Marion has recently learnt to swim, so is enjoying a new love for the water; she is a keen walker and enjoys holidays to Devon & Cornwall, exploring the stunning coastline with her husband. Paul J Long is Head of Programme Technology Solutions at Gibbs Hybrid. Paul joined Gibbs Hybrid as an Executive Consultant in 2009, after 18 successful years working in the City of London for a number of Tier 1 Global Investment Banks (including BarCap, DrKW, SBC Warburg and Schroders), undertaking middle and senior management positions within their Technology departments. Paul made instant changes and improvements to ensure that the FO and Trading areas of the businesses received platinum service from his teams. Paul created innovative solutions to improve resolution, productivity and customer experience whilst transforming his teams from acceptable to exceptional. Paul has successfully implemented and delivered strategic global programmes and portfolios of work whilst ensuring sustainability and scalability. 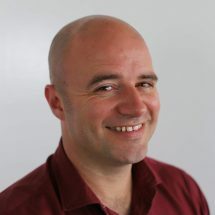 Paul is fully adept with PM methodologies, including Prince2 and Agile. Paul is a strategist and “solutionist” who created, designed and set-up the Programme Solutions division at Gibbs Hybrid, which has become a successful addition to the Gibbs portfolio of services. 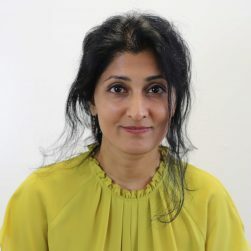 Punam Tiwari is a senior commercial lawyer at Gibbs Hybrid, with particular expertise in the provision of commercial legal advice to clients in the tech sector. She has an interest in cyber security and data protection, and therefore is regularly involved in events, giving lectures and presenting her expertise on these subjects. Punam drafts, negotiates and reviews a wide variety of agreements. She advises and provides support to businesses on regulatory and compliance matters as well as giving advice on employment law. With a career in Transformation spanning more years than he cares to admit in writing, Gavin has a successful track record of delivering strategic digital, regulatory, infrastructure, software and divestment programmes for large organisations in many sectors and countries. Gavin believes that being passionate about delivery, continuous improvement and having a high performing, motivated team are the cornerstones to any successful Transformational service offering. These are the things that help Gibbs ensure that our Programme Services team put the client at the heart of everything we do. Gavin’s a family man, holds an MBA, a Bsc Eng (Hons), Prince 2, PMP and other professional qualifications. He also coaches junior football – which he claims is the most grounding stakeholder management experience available!